Free advice in the convenience of your home. Quality softener water at an excellent price. The Coral C 10 is an outstanding example of a traditional electric operated softener able to meet the requirements of the most budget conscious buyer. Coral water softeners feature the very reliable autotrol valve. Max daytime working pressure: 8.2 bar (120 psi) . A PLV should be fitted if pressure is above 5 bar. Min daytime working pressure: 1.4 bar (20 psi). A pump should be fitted below this level. Maximum flow rate: 45 1/min (1 bar pressure drop approx). Electrical consumption: 3 watts (controller operates at 12 volt DC via transformer). Allows for connectioins at rear for pipework. Pure Choice Water are on hand to answer any questions you might have about our products. We'll provide all the information you need at your convenience in your home or workplace. 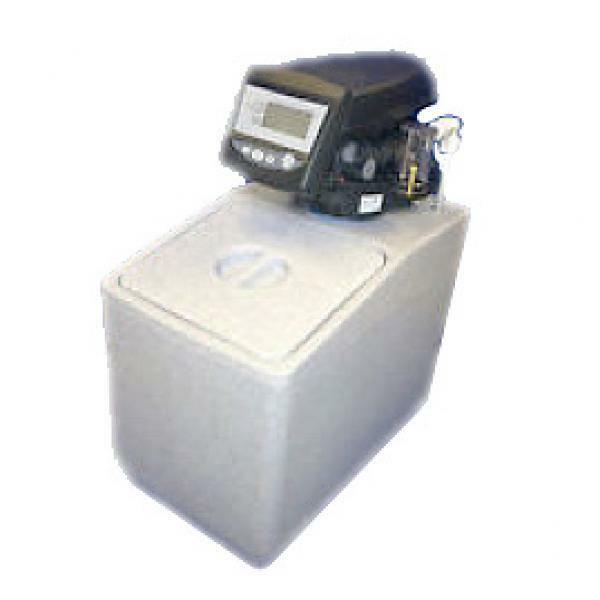 Get an instant quote and order water softner salt online. A great system. Expertly fitted. Saving on so many things. Soap, dishwasher detergent. So pleased we had this system installed. Pure Choice Ltd. Registered in England and Wales – Number: 4010545. VAT Number: 639 5874 82. © Pure Choice Water 2019. All rights reserved. Website by Cloudlevel.